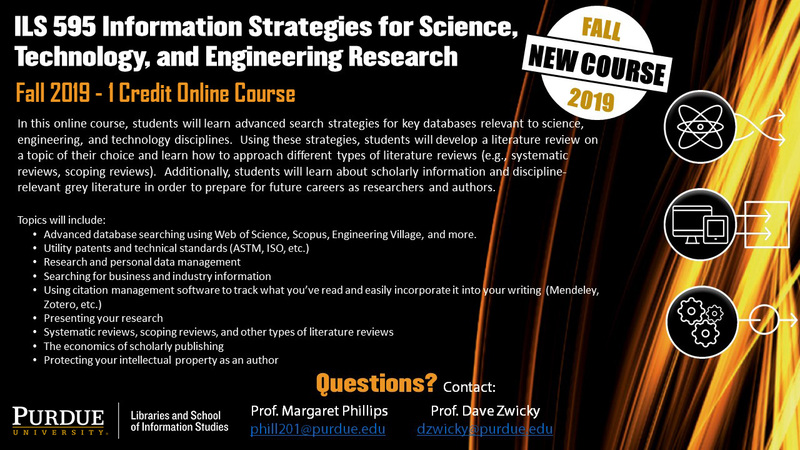 The Purdue Libraries & School of Information Studies will be offering this online course, ILS 595: Information Strategies for Science, Technology, and Engineering Research. The syllabus from the current term is attached. Engineering graduate students who are currently in the course have shared they find the content valuable for their work.